The Transact, Cost and economy models let you think. Thanks Prof Albert Wocke. Brief notes for Unre to remember the lesson by! Stay aware, agile, adaptive and WATCH OUT for shifts and resistance. Bounded rationality and efficiencies in the core? The organizational man and the self-centered man is in play with very different outcomes. Balance costs of central controls and the risks of safety on transactions and contracts. His focus on the costs of transactions has led Williamson to distinguish between repeated case-by-case bargaining on the one hand and relationship-specific contracts on the other. For example, the repeated purchasing of coal from a spot market to meet the daily or weekly needs of an electric utility would represent case by case bargaining. But over time, the utility is likely to form ongoing relationships with a specific supplier, and the economics of the relationship-specific dealings will be importantly different, he has argued. 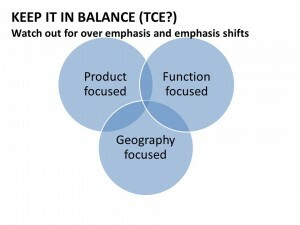 Include Goshal and Moran arguing the TCE assumptions and propose the product, Geography and function focus areas. A good summary of Organizational theory origins and evolution!